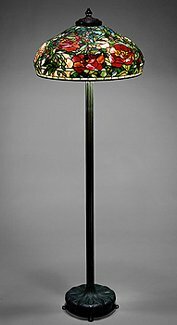 Very nice "Grand Peony" shaded floor lamp. Large size blooms, and having bright and vividly colored glass. Rests on a ribbed base with curved feet.